Welcome to the Snaps Photo Processing store where you can order and pay for your photo processing services selected, purchase your films and frames together with other photographic merchandise such as telescopes, sunglasses, binoculars and much more. 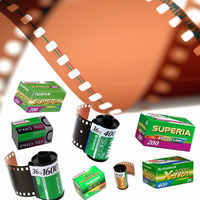 Explore the exiting range of modern frames we have on offer and purchase your films at less than retail prices in colour, black and white and slide films. 35mm BLACK & WHITE PROCESSING AND PRINTING.